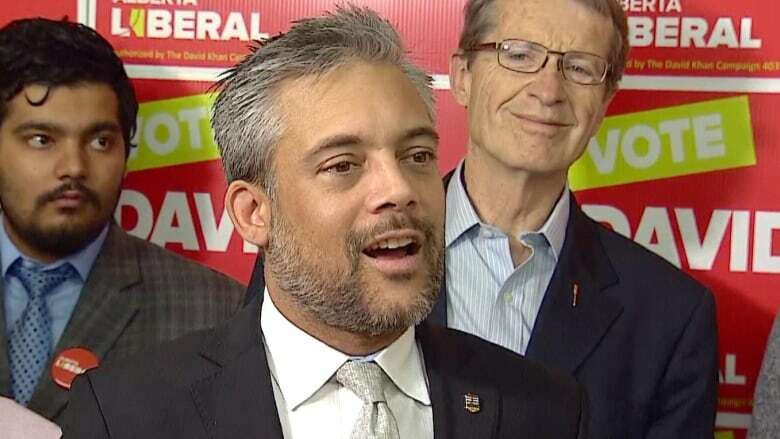 "Alberta Liberals believe that better is possible," Khan said as he announced the full Liberal platform at the party's campaign headquarters Monday afternoon in Calgary. "I encourage all Albertans to read our policies because we have the best pro-growth fiscal strategies of any party in this election." He disputed that a vote for his party could lead to vote-splitting on the left. "I don't accept the fear-mongering by the NDP. It's a last-ditch attempt to save their campaign and saying a vote for us is a vote for Kenney. It's absolutely not true and it's an insult to Alberta voters," he said. The party's platform does include a plan to "broaden" the choices available to Albertans. Instead of the current first-past-the-post voting system, the Liberals plan to implement mixed member proportional representation, which is used in democracies like Germany and New Zealand. The platform doesn't say exactly when the party would balance the budget, but Khan said the Liberals would pay off the province's debt one year sooner than the NDP or UCP. "I should point out that we're actually using growth estimates that are more conservative than the NDP," he said. One way the Liberals plan to bring in additional revenue is by largely eliminating income taxes in favour of an eight per cent harmonized sales tax, which Khan said would bring in $1 billion in new revenue from out-of-province visitors. "It's the least harmful way of collecting tax," he said. "Most Albertans' tax bills would go down on average $800 a year." Khan said that under the Liberal tax plan, 70 per cent of Albertans would pay zero income taxes and the remainder would pay much less than they do now. He also said the party would focus on improving services and making sure Albertans don't fall through the cracks. The Liberals plan to invest $600 million in mental health services, $150 million in home care and assisted living and $100 million in preventative care. Small quantity drug possession would be decriminalized and the opioid crisis would be declared a public health emergency. For poverty reduction, the party plans to double the funding for new affordable housing with an additional $50 million to upgrade existing facilities. Khan said the Liberals would launch a pilot program to test implementing universal basic income in a region of the province. As for how they would pay for these investments, the Liberals plan to focus on getting pipelines like Trans Mountain and Energy East built. In its platform, the party fires a shot at what it calls an equalization formula created by "Jason Kenney's government," and said it would demand the federal government amend the formula to treat provinces' hydro revenue the same as Alberta oil and gas royalties. Advance polls open Tuesday, and election day is April 16.